This program includes an accredited 120-hour TEFL course in Madrid, an Advanced TEFL Course, a 1-year University student visa and paid teaching placement. We have spent 14 years welcoming people from all over the world to our TEFL school in Madrid and helping them embark on their new life as an English teacher in Madrid. 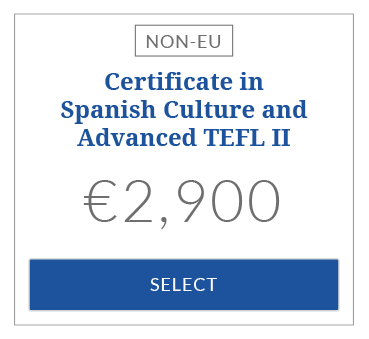 This University Study Abroad Program (Título Propio de Certificate in Spanish Culture and Advanced TEFL) is perfect for those that want to teach English in Madrid, Spain, immerse themselves in the Spanish culture and learn Spanish, as well as earning two TEFL qualifications that are valid worldwide. This is for non-EU candidates that will require a visa to live and work in Spain. The University Europea del Atlantico has chosen to work with TtMadrid and LAE Madrid (our sister Spanish school) because of our extensive experience in offering highly valued courses in the teacher trainer and language sector. Your year course includes an accredited TEFL certificate, and advanced TEFL Certificate, a ton of Spanish classes and the ability to get paid work placements as part of your course. You start off with our intensive TEFL Course (4 weeks), where you will gain the skills to teach English as a Foreign Language. Next, you will have 4 weeks of Spanish and cultural classes at LAE Madrid, our Spanish school which is an Instituto Cervantes-accredited school. The rest of the year, you will enjoy Spanish classes in the evening so you can really improve your Spanish while working as an English teacher in Madrid. Your Advanced TEFL Certificate course begins after your Spanish course and is online so that you can combine it with your teaching placements. Once you are accepted into our program, we’ll help you with everything, from your visa paperwork and advice to accommodation options and what to pack! If you come to Madrid before your course date, please pop in and say hi so we can give you a tour and you can meet the team. In your first week, you’ll meet the team and your course mates, and you’ll get the chance to see Madrid with previous TtMadrid students to answer any questions you may have. We also arrange the time for you to have informal Q&A with our experts about teaching and living in Madrid. During your four-week TEFL, you will have teaching sessions with our trainers from 9.30am to 3.30pm, with observed teaching practices from 3.30pm to 6.30pm. You have regular breaks, including a longer lunchtime to enjoy the discounts our student have in the local area. With homework most nights, it is hard work and is very intensive but we will support you throughout the whole course. We have checks and balances during the four weeks to make sure you are on track for success. The most important thing to know is that we are 100% focused on making your time with us worthwhile and fulfilling so that you learn what you need to step into a classroom and start this phase of your new career. Check out this page to see more on what is covered during our TEFL course. 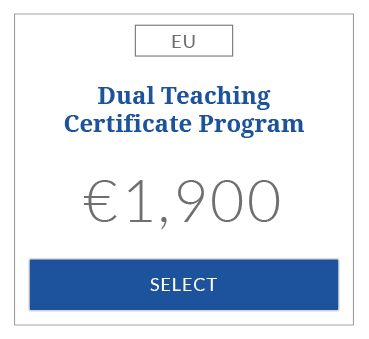 With your program, you’ll receive an Advanced Certificate in TEFL through the Universidad Europea del Atlántico and receive extensive training throughout your year’s program. These Ongoing Professional Development courses include online teaching, teaching business English and also teaching Young Learners. Your Spanish courses are taken with Instituto Cervantes-accredited Spanish academy, LAE Madrid, the leading Spanish school in Madrid. Your course will include 4 weeks of intensive Spanish classes (20 hours per week, plus cultural activities) and Spanish classes in the evening for the rest of the year. 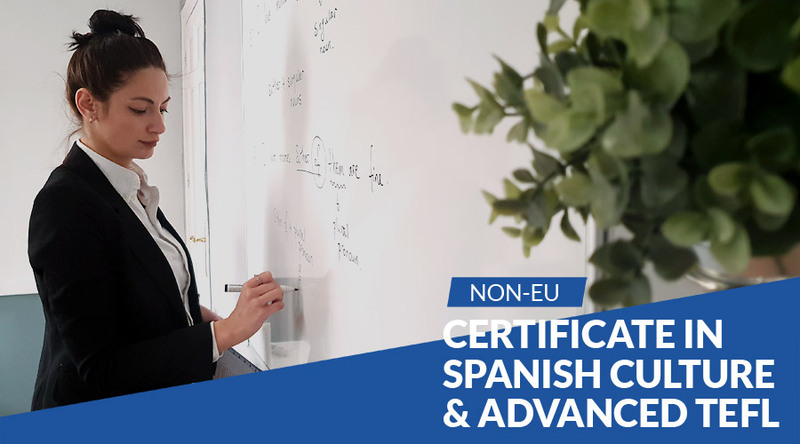 We designed the course this way so that you are able to give your Spanish a big push to begin your time in Spain, and then continue to study while you’re working throughout the rest of your year. You’re a non-European passport holder. You want to stay in Spain for longer than 90 days. You don’t have a visa to work in Spain. You do not need to have any previous experience teaching English, or speak Spanish, to do this course. Your visa is given through our university partner (University Europea del Atlantico) and you will be able to work teaching English once you have completed your four-week TEFL certificate course while completing the Spanish and Advanced TEFL part of your program. We are the only TEFL program in Spain that can offer you legal, straightforward, paid work placements with your visa, where you can work as many hours as you like, anywhere you like. Our program gives you absolute flexibility to decide what type of teaching is right for you. We will support you throughout the process, as well as advising you about the market and specific companies. Finding a work placement could not be easier – our support team puts you in touch with over 300 agencies and academies so that you can build the perfect timetable, and our reputation for training the best quality English teachers means that you’ll be top of the list when it comes to job offers.100% of the qualified teachers who have joined this program have found paid teaching work here in Madrid. We have an extensive network to organize these placements, regardless of your preference to work with children, adults, business or general English. We help you with all of the paperwork for your paid work placements and keep in touch throughout your program. Ask Helen for more detailed info. 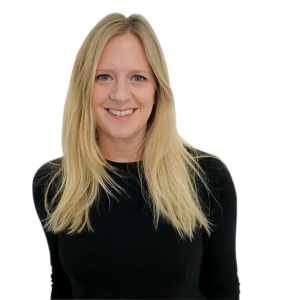 Helen is our Academic Program Manager and she knows everything there is to know about visas, TEFL courses, and Spain. She has helped hundreds of students through the visa process so knows exactly how it works. Once you get here you need to have a couple of appointments to finish off the process and we guide you through those too. Even opening a bank account is easy as the manager of the local branch comes to meet you during the first week of the course to get you sorted! So what is the next step on this TEFL adventure? Email Helen and she will send you an application form to fill out. You’ll then organize a Skype interview with you so you can go through any outstanding questions and to see if this adventure is the right one for you. 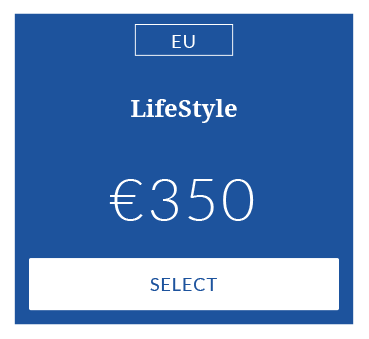 You will receive our acceptance email (or a reason why you’ve not been accepted onto the course) and you will reserve your place with an €800 deposit. This is the perfect time to break the news to friends and family (we find that having tissues and chocolate at the ready helps)! Start packing for your adventure! Check out our blog about living and working in Madrid, as well as lots on Teaching English as a Foreign Language. We've trained hundreds of English Teachers! You might also be interested in these courses. The most thorough and helpful TEFL course in Madrid hands down. The teachers are incredibly attentive and the coursework ensures you understand what and how to teach. I was provided every material needed for the class and to succeed in the job market afterwards. 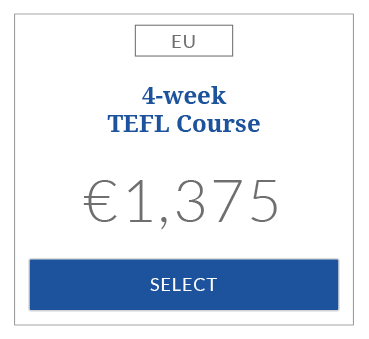 If the idea of a family and a life long team who is there to support and help you after you finish your TEFL is something you want, then sign up for this course immediately. I am 100% satisfied after finishing this course- from the first day of week one to the last day of week four. The staff here goes above and beyond helping the students. I absolutely recommend this course! I did the TEFL course here in September and I can't recommend it enough. The staff are super friendly, easy to talk to and are always there to help you out - even after the course ends! The feedback they give you on your teaching is invaluable. The course itself feels really well designed and efficient. It's incredible how much you can learn in one month! I also really love the unlimited free coffee. (This review is for Lifestyles program only. I had received my TEFL certificate at another school previously) Moving to Spain can be frustrating. TtMadrid makes it less so. While still in the States, Helen (from the associated language school downstairs -- LAEMadrid) walked me through the visa process. There is no way I could have completed it without her. After arriving in Spain, Rory helped me finish all the legal work. I've had more email threads with him in the past 3 months than I've had with my family in the past 3 decades. He, and the other staff at TtMadrid, were there for me every step of the process. If you want to teach in Spain legally as a non EU citizen, I cannot recommend TtMadrid highly enough! I definitely recommend this course - it really prepares you for the outside teaching world! The tutors are incredibly knowledgeable, really friendly and make the sessions informative and fun - owe a massive thanks to them. There was two weeks to pay the course fee after being accepted, at one point I got really nervous and I was going to opt out but on the last day I changed my again and I am SO glad I did! If you're considering it, don't hesitate - do it! How can TEFL change your life? Sign up today and find out for yourself.